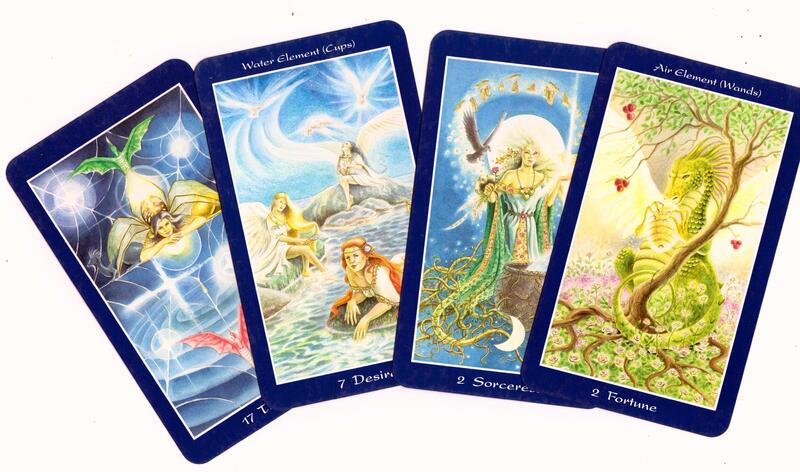 Originally published in 1998, The Shapeshifter Tarot turned out to be a huge hit for the creators DJ Conway, Sirona Knight and featured the amazing artwork of artist Lisa Hunt…whose other decks include The Celtic Dragon, Fairy Tale, Fantastical Creatures and the wildly popular Ghosts and Spirits Tarot. The deck went out of print for a time but Llewellyn Worldwide decided that they would give a whole new crop of Tarot readers and enthusiasts a new chance at owning and working with this fantastic deck. The deck itself is made up of 81 cards and comes with the standard LWB (little white book) rather than the original deck that came as a kit, but this in no way detracts from Lisa’s wonderfully detailed and evocative imagery. The cards are bordered in a lovely deep blue color with the elemental association at the top and a number and keyword at the bottom. The first thing that you will notice about this awesome deck is in it’s elemental qualities. 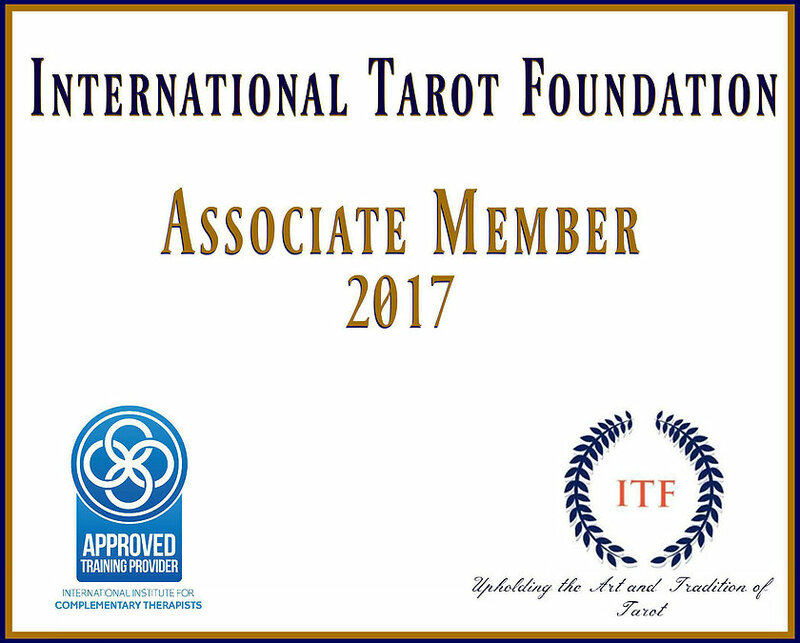 The Wands and Swords suit has been switched to highlight the qualities imbued by DJ Conway and at first may seem a bit different but after working with this deck for several weeks, I found that these associations actually lend a deeper, more intuitive approach when applied to readings themselves. I’ve had nothing but favorable comments when I asked if they would mind using The Shapeshifter Tarot and some even have remarked that Lisa’s artwork truly spoke to them on a level that other decks have not. I absolutely love the extra cards, I’m a big fan of gaining a little extra insight!. This deck is a awesome resource to help bridge the gulf between people, animals, and nature. I would highly recommend this deck for anyone who loves the fabulous art of Lisa Hunt and a fresh insight into your tarot readings! Found a brand new copy and ordered it tonight. Can’t wait.